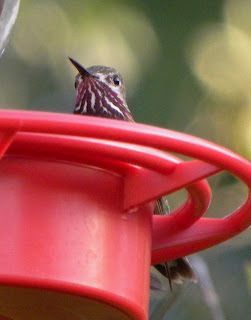 I sat outside on this beautiful Colorado morning drinking my coffee and watching the humming-birds at the feeder. The early morning sun captures their colors - which change as they move. 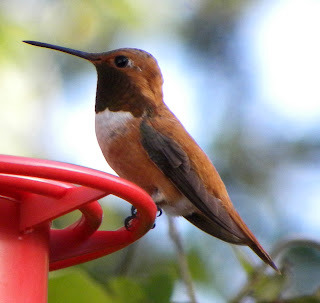 The Rufous Hummingbird has beautiful shades of orange. Same bird, just a fraction of a second later. The bright throat colors did not show when he was looking up. I was surprised to see shades of green on this one. I don't know if this is the same bird or not. 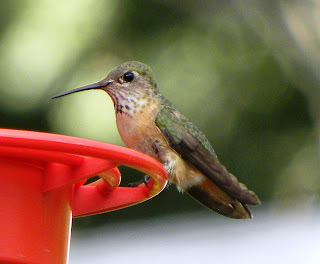 The Broad-tailed Humming-bird has a green back. Look at her little feet - just enough to stand still on. This must be the male as his colors are much brighter. His throat patch (gorget) looks bright red in the sunlight. 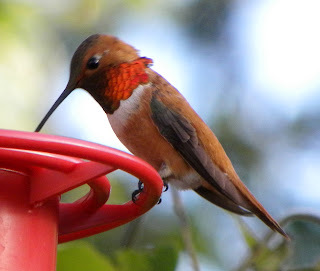 I enjoy looking at all the birds, but there is something very special about the hummingbirds - probably because they are so small, move so fast and are around for just a short time. 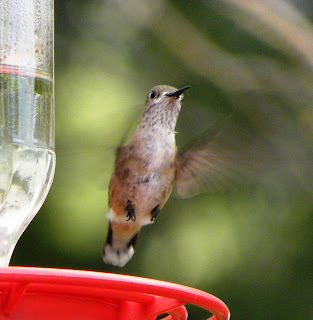 It's fun to hear the buzz-z-z as the Broad-tailed hummers fly around. Yesterday, Bill and I hiked in Palmer Park and we completed our first multi-geocache. It had five steps. The first location had a very small (half the size of your ring finger) container under a piece of bark with the coordinates of the second cache. The 2nd had the coordinates of the third and so on. Each successive cache was a little larger than the previous and the last one was the size of a small canister of coffee. After signing the log at the final stop, we dropped off a travel bug, which is a dog tag stamped with a unique number and may or may not be attached to a small stuffed animal, toy or figurine. Each bug has a mission and people who find it pass it along by putting it into a different cache and record the move on geocaching.com. We have four bugs that we have placed in different caches around Colorado. 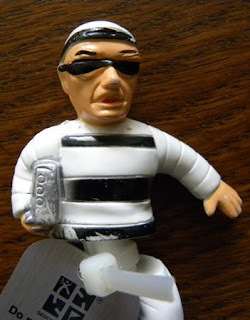 This one was "Rotten Ralph." His mission is to "get out of town - fast." 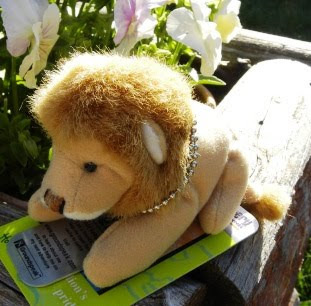 Another of our bugs, "Leo," is a small beanie baby lion who just "wants to go home." "Orca" is a beanie baby whale trying to find his way to Fort Myers - and if he makes it, we will pick him up. Our last bug was not attached to anything as we placed it into a micro-cache - too small for anything else but a log and the tag. It's mission is to visit "every cache in Colorado." Many of these bugs and other trackables like geocoins go missing as people who find them keep them as souvenirs, so I'm hoping ours will travel and people will record their adventures. Just another silly but fun facet to the hobby! Your pictures are getting better and better!!! 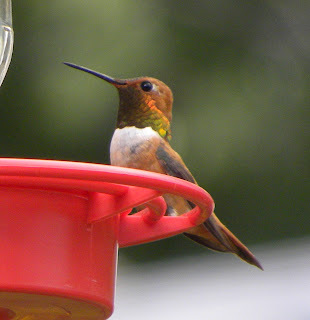 Awesome hummingbird pictures! Lisa and Betty picked up Rotten Ralph yesterday--does he have anywhere he really wants to get to? We think he might like to try to sneak into a concert near Red Rocks Amphitheater outside Denver! How likely do you think it is that a fairly cute stuffed animal travel bug on a special mission (such as your beanies) will go missing? Do you have direct previous experience with this? 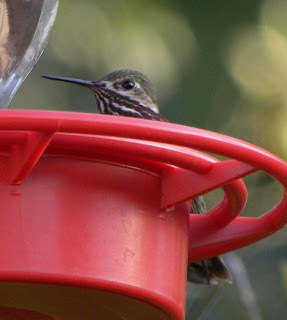 Ran across your blog while trying to identify the many types of hummers coming to my feeders. Was surprised to see that we share the same city.